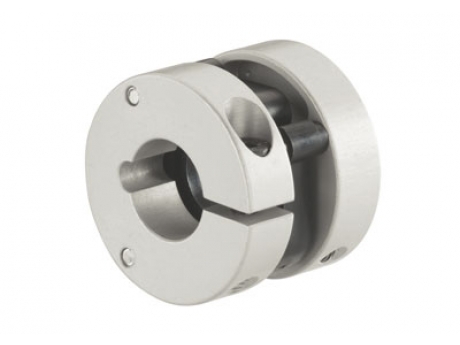 Available from Abssac, the Schmidt- Kupplung Controlflex shaft coupling is claimed to be the ideal partner for shaft encoders. The compact design consists of two anodised aluminium hubs and a middle element that transmits torque at constant velocity and accommodates all kinds of shaft misalignment, while exhibiting very low restoring forces, making it suit- able for both encoder and tacho use. Controlflex is easy to install, canact as an electrical insulator between shafts and as standard are balanced for high rpm applications up to 25.000 rpm.